There is quite a bit of pomp and circumstance that automatically comes to mind at the very mention of the word “embroidery.” Organizations have a decision to make: what is the statement you plan to make with your embroidered promotional apparel and materials? Brand Owl and its staff of intuitive branding experts has extensive knowledge in the world of Costa Mesa Embroidery, Screen Printing, and Fresh Promotional Product Ideas. Benefits of superior Costa Mesa Embroidery and Embroidered Goods? Costa Mesa Embroidery communicates value. Monogrammed towels are embroidered to signify luxury and elegance. Ball caps and sports jackets are embroidered to pay homage to teams and players. Liberace, the original King of Bling, was well-known for his elaborately embroidered capes and outfits ensembles, which lent themselves nicely to his reputation for extravagance. The truth is, there is a certain perceived premium that goes hand-in-hand with the art of embroidery. If your organization has chosen to invest in marketing through the use of embroidered products, there is probably a specific reason for doing so. Costa Mesa Embroidery builds brand awareness. Embroidering apparel is a popular promotional tool used to communicate not just brand awareness, but brand value. 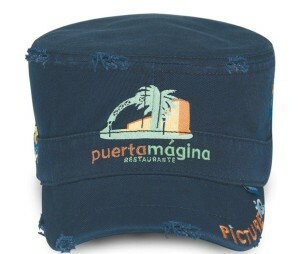 Our Costa Mesa Embroidery is more durable. Embroidered goods are generally more durable than your typical screen printed apparel products. Embroidery can encourage collaboration. The old saying “birds of a feather flock together” certainly applies here. Employees, friends, sibling and teams who wear the same, similar or complementary like matching embroidered shirts, for instance will naturally move toward becoming a more cohesive unit. So not only will employees have a cleaner, more uniform appearance that is easily identifiable to others, their apparel will often facilitate team spirit. The Impact Embroidered Goods Can Make. Embroidered apparel also tends to leave a lingering impact both on those wearing the clothes and on those who see them. Brand Owl’s wearable advertising. Unless you sell tennis shoes or premium label apparel, it’s not always easy to benefit from wearable marketing. But an attractive embroidered design, logo or color scheme can be a virtual feast for the eyes to catch and keep the attention of others. It’s the same result you would want any expensive billboard or television spot to produce. Which of the above benefits of Brand Owl’s Costa Mesa embroidery best suits your organization? That’s up to you. Partner up with the design team here at Brand Owl to help you create a visual marketing campaign that offers one or more of the above-listed benefits. Visit Brand Owl today to see what our intuitive staff of brand management specialists, screen printers and Costa Mesa embroidered goods experts can do for the brand identity of your business.